Dr. Robert Zubrin is the founder and President of the Mars Society, as well as a member of the organization’s Board of Directors. Dr. Zubrin is also President of Pioneer Astronautics, an aerospace R&D company located in Lakewood, Colorado. Formerly a Staff Engineer at Lockheed Martin Astronautics in Denver, he holds a Masters degree in Aeronautics and Astronautics and a Ph.D. in Nuclear Engineering from the University of Washington. Viewed as a respected author and a renown expert on Mars, Dr. Zubrin has testified in recent years before several government committees and in 2009 spoke in front of the Augustine Commission on the subject of the future of America’s human space flight program. He is the inventor of several unique concepts for space propulsion and exploration, the author of more than 200 published technical and non-technical papers in the field, as well the non-fiction books including “The Case for Mars: The Plan to Settle the Red Planet and Why We Must.” He is the founder of the Mars Society; an international organization dedicated to furthering the exploration and settlement of Mars by both public and private means. In that capacity, he personally led the construction and operation of a human Mars exploration training station on Devon Island, an uninhabited island in the Canadian Arctic 900 miles from the North Pole. 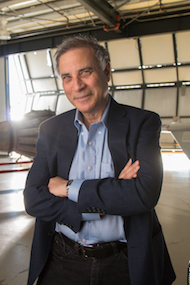 Prior to his work in astronautics, Dr. Zubrin was employed in areas of thermonuclear fusion research, nuclear engineering, radiation protection and as a high school science teacher.